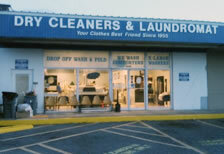 We strive to return your clothes in “LIKE NEW” condition. That means stains removed, pressed properly, packaged smartly, and ON TIME. Due to our demanding standards and quality control efforts, you may find our prices are slightly higher than the competition. You and your clothes deserve the best…don’t settle for average. Note: The prices above are for plain items only and are subject to change at any time. Additional charges will be added to the final invoice for special services, delivery services, materials or conditions such as folded shirts, military creases, silk, linen, down, feathers, cashmere, angora, fur trim, leather trim, beads, stones, sequins, pleats, metallic trim, embroidery, whites, lined items, rush service, heavyweight items, velour, velvet, corduroy, heavily soiled, mildew, mold, etc.